We hold expertise in designing as well as fabricating Colorful Display Boards that find extensive application in displaying products during exhibitions. These Display Boards are beautifully crafted, also help in enhancing the looks of displayed items as well as provide them an elegant appeal. We manufacture and supply a qualitative range of Combination Dual Board which have evolved over the years backed by craftsmanship and rich industry experience. 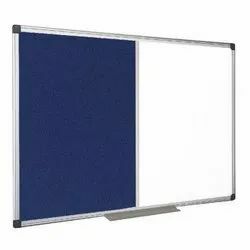 Our comprehensive range of combination boards have many takers for its dual purposes in educational institutes, offices, and schools and colleges which are meant for both display and writing purposes. 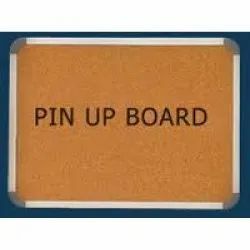 We are known as one of the leading manufacturer and supplier involved in manufacturing and supplying an array of Pin-Up Board, which are far and wide used in various places for display intention. Our offered product range can be availed from us at industry competitive price. Our company is reputed in the field of the manufacture, supply and trade of Colourful Revolving Display Boards of awesome quality and amazing durability. These boards are unique since these use wonderful graphics and visuals. 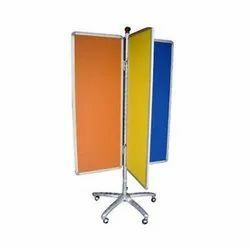 These colorful revolving display boards are widely used at the schools and colleges. Moreover, these colorful revolving display boards have international standard of quality and are developed and designed by the leading industry professionals. Looking for Colorful Display Boards ?